Each morning when I would pluck 15 dark coarse hairs from my chin (so embarrassing to even type), I would hear the whispering voice say, “Not healed yet.” And as my menstrual cycle would go past 30 days…then 40 days…and even 50 days, I could hear that same voice quietly reminding me that my body? The one betraying me? Was simply not healed. 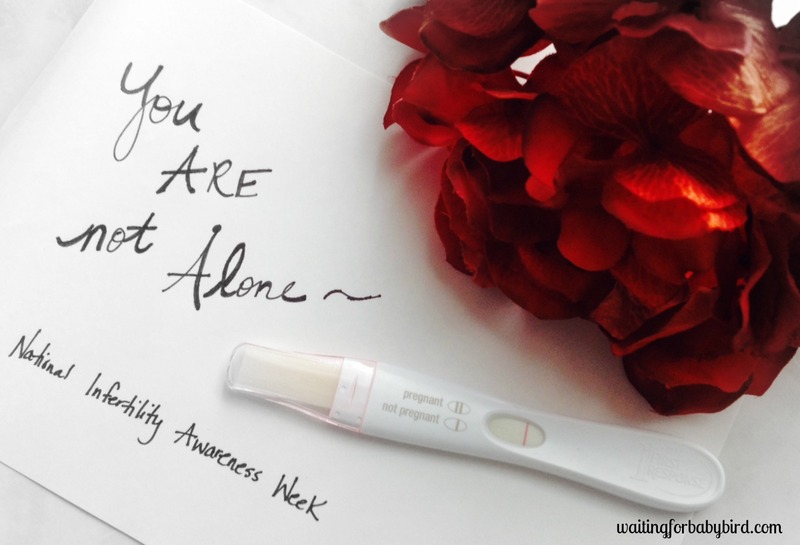 It wasn’t until I looked in the mirror one day while wondering when I would be healed of this dreaded illness that consumes my entire being and robs me of my ability to grow my family, that I heard a different voice…a different whisper. This one said, “Daughter, by My Son’s wounds you ARE healed.” I laughed! If I am healed, then why do I still see the evidence of this devastating disease? Why do I still have high blood pressure, excess facial hair, insulin resistance, lack of ovulation and long cycles? Why am I constantly staring at one pink line, never two? I couldn’t possibly be healed! 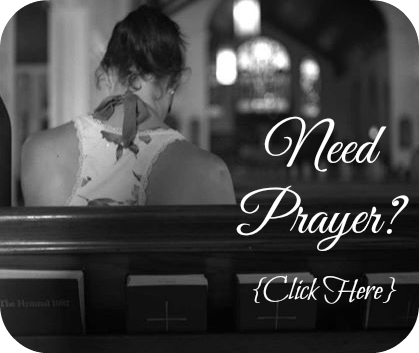 It wasn’t too long after that morning, while in prayer that I realized the voice I had been listening to, the one telling me I wasn’t healed yet, was my adversary. Satan. 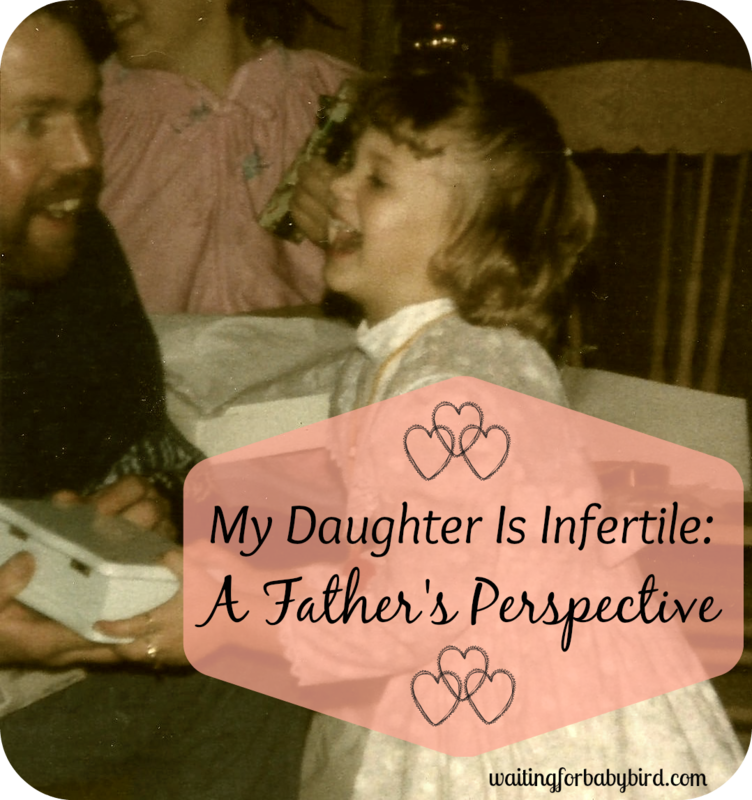 The father of all lies feeding me the lie that my healing of Polycystic Ovarian Syndrome (PCOS) was a work to be completed rather than already finished. Isaiah 53:5 says that by His wounds we ARE healed. It doesn’t say we might be…will be…could be…but ARE. God wants you and I to know that what we desperately need Him to do for us has already been done. Jesus’ finished work at the cross satisfied the Father’s heart. And so from heaven’s throne came the pronouncement, “It is done!” in response to Jesus’ cry, “It is finished!” on earth. Today, I no longer focus on what I see or feel, or the presence of contradicting reports. I now realize and remind myself that they are just lies from the enemy. And though they are real, very real, I know that they are temporal and not the Truth. God’s Word is Truth and when you and I start believing only what He says about our situations, then change begins to happen. I am living proof of this as I can testify that once I began believing and even declaring the Truth that by His stripes I am already healed, even though I had zero evidence to prove it, my cycles slowly became much shorter and ovulation started occurring naturally. The 15 hairs on my chin went to 10, and on some days, just a few. I even started noticing a change in my perspective. I no longer felt defeated or hopeless. But rather empowered and strong. And so my question to you today is this: What do you see when it comes to your healing? Do you see a finished work or a work that is yet to be completed? Because friends, we can’t look to our circumstances. We can’t listen to the voices of our fears, doubts, and worries. We can’t even look to the reports from our doctors as being the absolute truth. Instead, we need to look to the Cross. And we need to listen to the voice of our loving Father who is proclaiming, “It is done!” And we need to turn our ear to hear the sweet voice of His Son who is crying out, “It is finished!” Because sweet friend, it is. We are called to walk by faith, not by sight (2 Corinthians 5:7). And faith says you are healed. 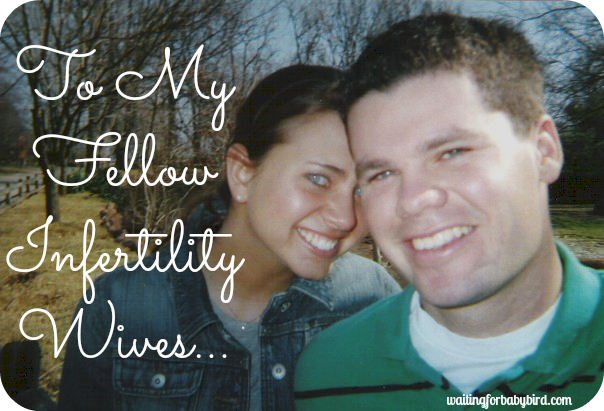 I wrote this article for the devotional book, Anchored in Hope, that was put together by Ali Forest but written by nearly 45 different women who have struggled or are currently struggling with infertility. If you are interested in purchasing this book in order to be encouraged by others walking the same journey – the failures, the loss, the grief, but also the triumphs and faith that carries us through it all, then don’t hesitate. Click here. This is beautiful! 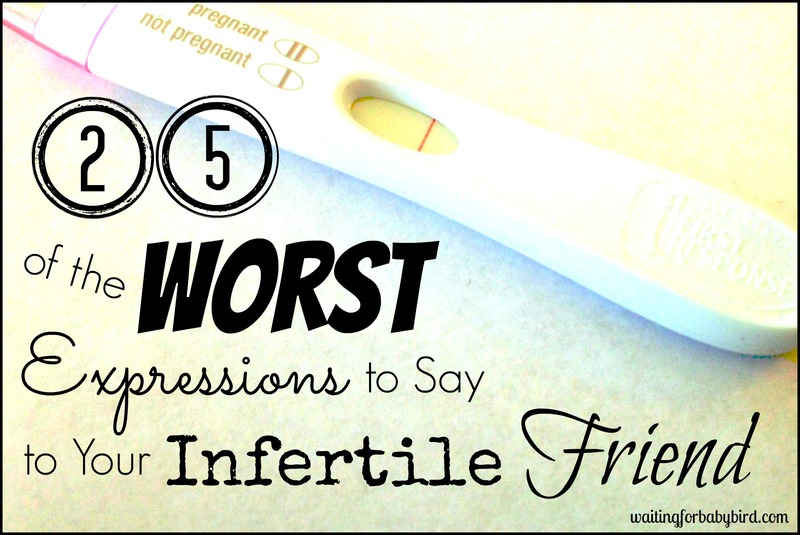 I didn’t read it for me but, for several dear friends that have/currently struggle/d with infertility. I have made it a point to do I all can (as a single individual) to be an encouragement to my friends struggling. Even though I haven’t traveled this road, the Lord can still use me to bless them as they journey. I will be sharing this with them! Awe! You are seriously the sweetest! Your friends are so lucky to have you! Not having answers is hard…but God is good. He never leaves us to venture through this journey alone. Great article. It’s hard to be in this place. Especially when the healing is for him. He has to believe it too. So hard!! I remember a story in the New Testament about how a man couldn’t walk and so it was his friends who cut a hole in the roof and dropped him down to see Jesus for the man’s healing. Jesus looked at the men and said because of your faith your friend is healed…. Always so inspirational. Thank you for being you! God is good. Thank you for being such a blessing to others. For being open and honest about such a difficult struggle for so many. Thanks for being you! Great post! 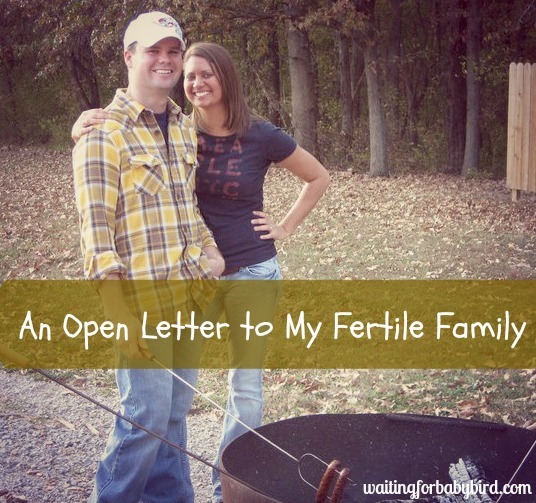 My husband and I have been struggling with unexplained infertility for 3.5 years. It’s been a roller coaster of emotions all of which you seem to elegantly capture and explain throughout your blog posts. I can’t tell you how many times I’ve let the enemy whisper lies in my ears. Thank you for the reminder that with God anything is possible, and for being brave enough to share your journey. Sending love your way! 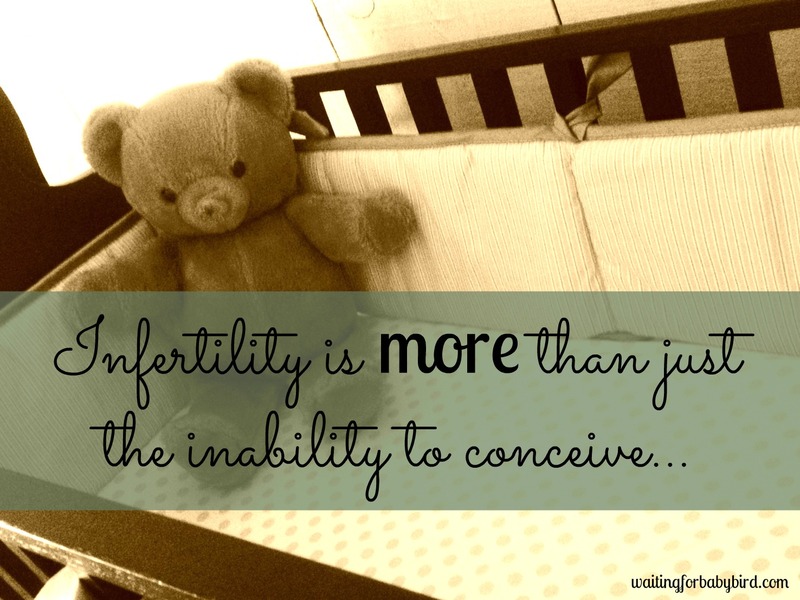 My husband had a child in a previous marriage he lost his baby when she was 2 weeks old, now we have been married for two years and been trying to conceive but we are having no luck. Doctors can’t find anything wrong there is nothing they can do we just wait. I just want to give my husband and of course me a sweet baby. Thank you so much! God is so good.